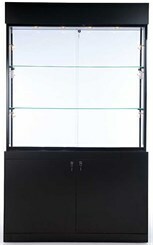 Display Case w/Locking Storage - Free Shipping! 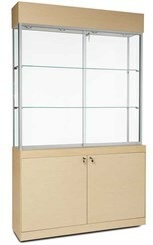 Beautifully and securely display hair products, nail polishes and other salon products in this sturdy, attractive display! Front sliding doors allow you to easily access items and include a plunger lock. 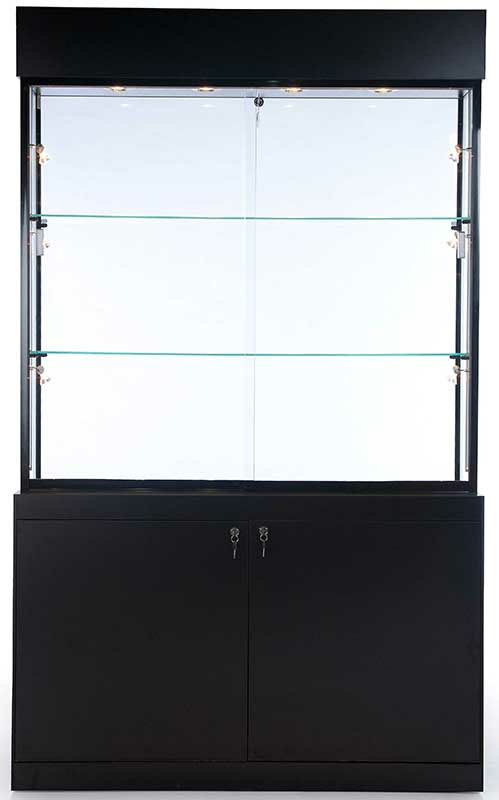 Pedestal of unit includes two locking hinged doors for storage of extra inventory. . Made to order in your choice of several cool colors. Ships fully assembled. Shpg. wt. 377 lbs. PRICE INCLUDES SHIPPING! (Truck shipment - See Terms & Conditions).Please allow 3-4 weeks for delivery. * Tempered glass on all four sides. 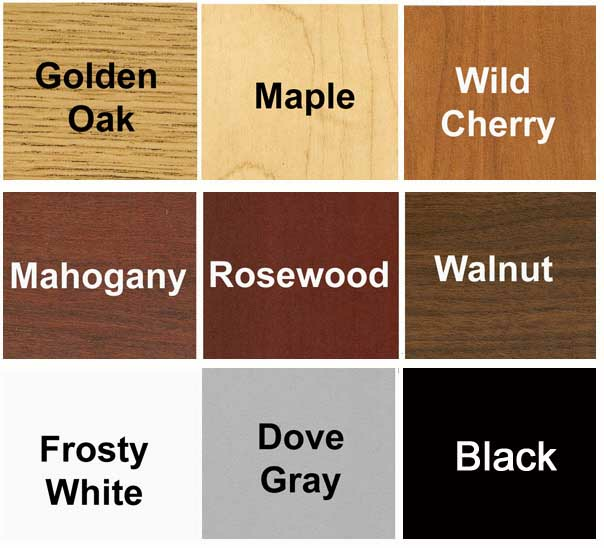 * Choose from 9 laminate colors for pedestal base & canopy and 3 frame finishes. * Front access locking sliding doors (plunger lock). 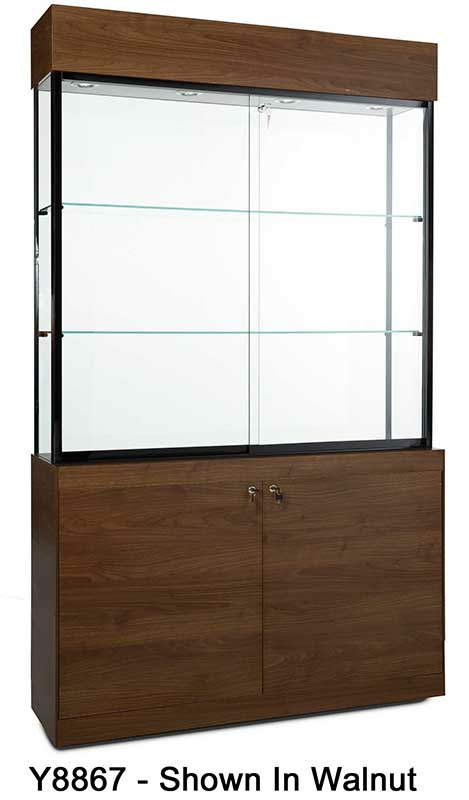 * One 1/4" thick adjustable glass shelf and one fixed shelf. * Four LED Lights in canopy. * Electrical switch with cord. 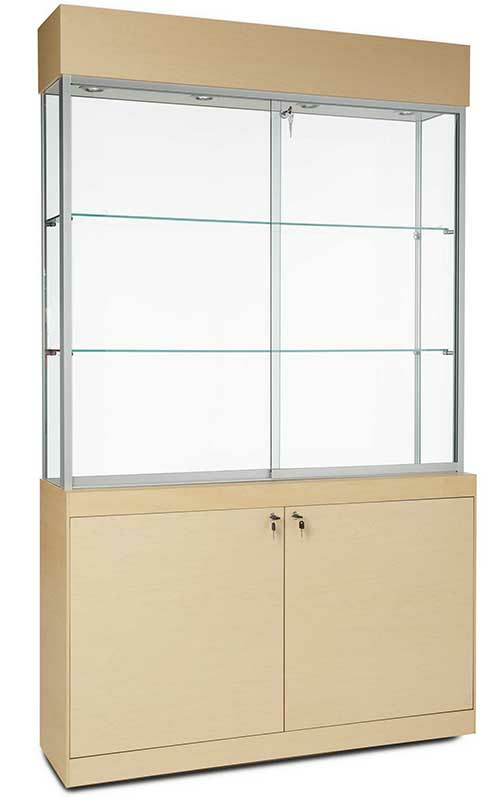 * Glass Display Area measures 47"W x 11"D x 42-1/2"H.
1 - 2 $3,499.00 ea. Same features as above and 6 micro halogen spotlights. 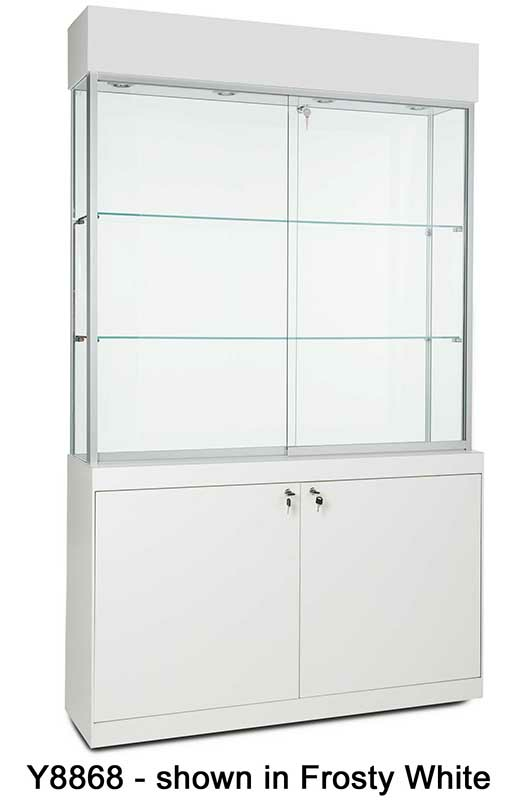 Measures 48"W x 11" - 13-1/2"D x 80"H overall. Shpg. wt. 370 lbs. Ships assembled. PRICE INCLUDES SHIPPING! (Truck shipment - See Terms & Conditions).